Solid feel from new tech XGT7 graphite material and the ability to easily adjust the drag while fighting a fish are two of the key features behind Shimano's redesigned Saros FA spinning reels. 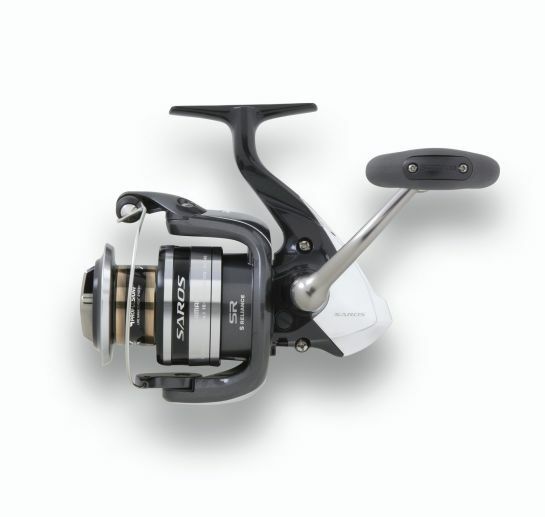 The series brings a complete upgrade to all four sizes available (1000FA, 2500FA, 3000FA, 4000FA) with a long list of Shimano reel technology. Anglers will find Shimano's unique XGT7 graphite in the frame, rotor and sideplate construction. When hooked up, anglers have the convenience and reliability of Shimano's Rapid Fire Drag. 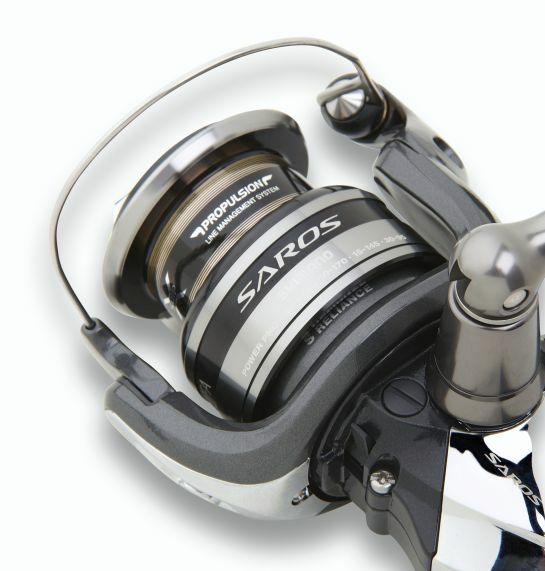 Included in all four Saros FA reels is a long list of features from Propulsion Line Management System to virtually eliminate any line twist and increase casting distance, Paladin Gear Durability Enhancement, SR Concept, Aero Wrap II, Dyna-Balance and Super Stopper II. They all have five S A-RB shielded bearings, a one-way roller bearing to eliminate any handle backplay and a gear ratio of 6.0:1 or 5.8:1. Best of all, they are backed by Shimano's stellar track record of producing quality fishing reels.